1. Dashboards: I always like a conference when I can learn about new tools and tricks. My latest favorite tool is Splunk. I had not even heard about it prior to this conference, but this tool (which is free if you use it for a small amount of data) allows one to create an amazing dashboard in almost no time. At this particular SIIM workshop, which was amazingly lightly attended, we were using a test data set in an Excel spreadsheet format that included patient visit related events, and made an impressive dashboard in less than 30 minutes. One of the real-life issues is how to get access to the data. This software takes a simple HL7 feed from an interface engine into an open source database and indexes the data, producing an elegant solution to data access. Another advantage of indexing the data in the “middleware,” i.e. a database that functions as a data warehouse, is that it cuts down on the work and related cost that Splunk has to do, as the software license depends on the amount of data it indexes. Dashboards have been talked about for many years but I feel that now the tools are available to really implement them, I highly recommend anyone wanting to do some type of dashboarding to check this out. 2. Decision support: There was a lot of talk about “big data,” but not a lot of talk of what to do with it, and I think that is not quite clear yet anyway. Using the big data for the purpose of decision support was mostly considered at the conference in terms of placing the appropriate orders, which is valuable, but there are so many more opportunities than just at order placement. Interestingly enough, just sharing the data about who orders what for what condition, seems to already be making an impact on the behavior of the ordering physicians as it allows them to see how they compare with their peers. One of the main objectives for decision support has traditionally been to save money, for example, why would you order a CT, if a chest X-ray would suffice for a particular case. However, a more important reason for decision support is to increase the quality of care as it would support selecting the appropriate procedure for the specific condition of the patient. In some cases it could justify a CT scan instead of a regular chest X-ray and improve the diagnosis, and thus not necessarily save money. Decision support using big data is still in its infancy; it will be a while before mature implementations become mainstream. 3. Analytics: One of the main challenges with doing analytics is that a lot of the data is collected and measured for the wrong reasons. For example, a commonly measured yardstick is the report turn-around time, i.e. the time between a diagnostic procedure being completed and a report being available to the physician. A typical time goal might be anywhere between 15 and 30 minutes, which is quite achievable using speech recognition and good workflow support by the PACS. However, this time as a measure is useless if you don’t put it into clinical context, i.e. what is important is that the information is available at the right point, at the right time, which in many cases is the time of the patient’s physician appointment. If the appointment is not for another two hours later, a turnaround time of 30 minutes sounds great but does not provide any additional value over a turnaround time of 90 minutes. However, if it concerns an in-patient in the ICU or someone just admitted to the ER while the physician is waiting to get the results, 15 minutes might even be too long. The problem is that a radiology department typically does not have access to appointment data, unless it has access to the EMR or hospital information system. Therefore, agreements with the corporate IT department have to be made to allow access to that information. Another lesson learned is that to do analytics, one preferably would access a copy of the data, basically building one’s own data warehouse as accessing the real-time data with additional queries could significantly impact the performance of the operational system. So, analytics in a vacuum, i.e. on a department level, is often not useful and has to be extended to the enterprise, which requires the corresponding information access. 4. Quality Improvement: An important quality improvement is the avoidance of Left/Right mix-ups. The result of a mix-up can be a procedure performed on the wrong extremity (operating on the left knee instead of the right one) or on an incorrect part of the body (perform a biopsy of the wrong lung, the incorrect breast). These errors are not uncommon and can potentially be avoided by a simple Left/Right check in the report. This is implemented by scanning the report for the words “left or right,” which are subsequently highlighted in the report on the screen to provide a double-check to the radiologist. The speaker at the conference showed a plug-in of the reporting software that provides a “check PACS button” as part of the menu, upon which these words are highlighted. A study using this feature was done over a period of 7 months when 140,000 exams were reported, 45,000 of them had the check done (for some reason, not all users used the feature). There were 32 left/right mix-ups identified in this sample. One should realize that not all errors are covered, for example, a not uncommon case whereby a procedure is performed on a different side of the body than was ordered would not be detected. The extra mouse click seems to cause some of the users to either forget or be unwilling to take the time to perform the check. However, it would not be hard for a reporting vendor to automate this as part of the regular workflow, e.g. highlight all of these as part of the sign-off. For now, during this trial there were 32 errors prevented by an amazingly simple mechanism. 5. Ultrasound structured reporting: Ultrasound structured reporting has been around for more than 10 years. It works as follows: a technologist does measurements on the ultrasound image, which are standardized and structured, i.e. always taking same measurements for certain exams, for example, always measuring the circumference of a fetus’ head to monitor growth on a monthly basis. Instead of a radiologist having to read the measurements for his or her report from the screen, or from a piece of paper that was used by the technologist to record them and re-enter them or repeating them using speech recognition, these measurements can be exported by the ultrasound in a standard DICOM template, i.e. Structured Report (SR) that can be interpreted by the reporting software and used to automatically fill the information into the reporting template. Doing this in an automated manner provides about a 30 percent improvement in report time for certain procedures, which does not take into account the time saved for the technologist who does not have to fill out worksheets. Pretty much every ultrasound exports these SR’s today, but unfortunately, very few reporting voice recognition (VR) systems have a SR input. This seems remarkable to me, i.e. why would not every radiologist use this and be able to save 30 percent of their time, or go home early as the work is so much more efficient. I don’t know the answer to that, I do know that there is at least one vendor that sells middleware that takes the SR data and fills in the information using a proprietary interface to the most popular speech recognition system. Implementing DICOM SR is not for the faint-hearted as it is not trivial, and also there is quite a variation between the different ultrasound vendors on what they report, something that the DICOM committee is currently addressing by coming up with a more simplified template. However, these weaknesses should not keep any vendor from implementing SR. Hopefully through more user pressure, the VR vendors will start implementing it. 6. DICOMWeb and HL7 FHIR: One of the major barriers to implementing new applications that use and exchange medical imaging and related information is the complexity of the data formats and protocols and its overhead. HL7 version 3 definitely did not help in that with its verbosity and complexity, and DICOM has traditionally been somewhat complex to understand, especially for novice users. In this day and age, developers want to build new apps using the 5-5-5 rule, i.e. 5 seconds to find the document on the computer or internet, 5 minutes to grasp what it is all about, and 5 hours to build a prototype. That is how you can build an app today, for example, for your smartphone. However that is not how you build an image enabling application in your EMR. That is why both DICOM and HL7 are working on simplifying their protocols and formats using standard web-based technologies such as REST. The HL7 FHIR specification is in the draft stage; with about 100-150 reusable objects that the committee thinks are needed, there are already 50 built and ready to be used (see more details on FHIR here). DICOM is the process of specifying the necessary new services as well, there is a DICOM pull available called WADO (Web Access to DICOM Objects), which has a new version using REST technology, there is a query available, called QIDO, and a store, that is called “post” in the form of STOW-RS. One of the issues with reporting is to coordinate different jobs using the appropriate work lists, which is being addressed by the DICOM committee with development of the Unified Procedure Step. You might ask whether this is going to change all of the installed base, for example how a CT is talking to a PACS system today. 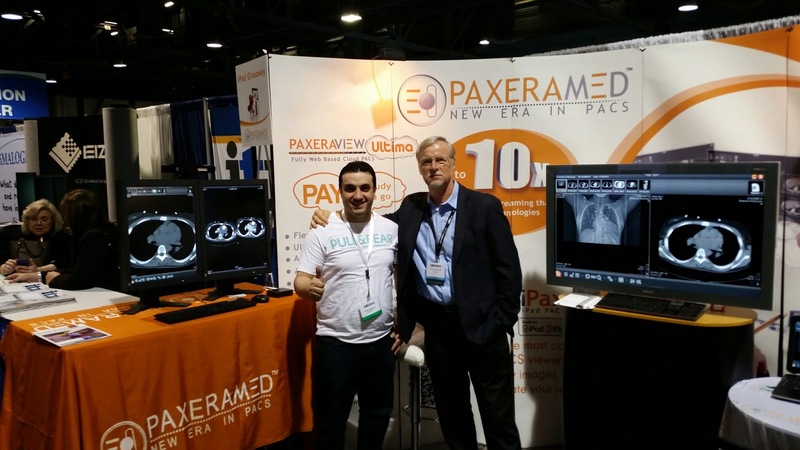 The answer is no, but if the PACS wants to post images to an EMR, communicate with any smart phones or iPads for a radiologist to share his images with a patient, or post an anonymized image on facebook for consultation, then the answer is very likely yes. This will allow DICOM and HL7 to go mainstream as developers, who have no domain knowledge because they worked on banking or manufacturing or billing software prior to the medical field, to pick up the thread very quickly and easily and start implementing these new applications. 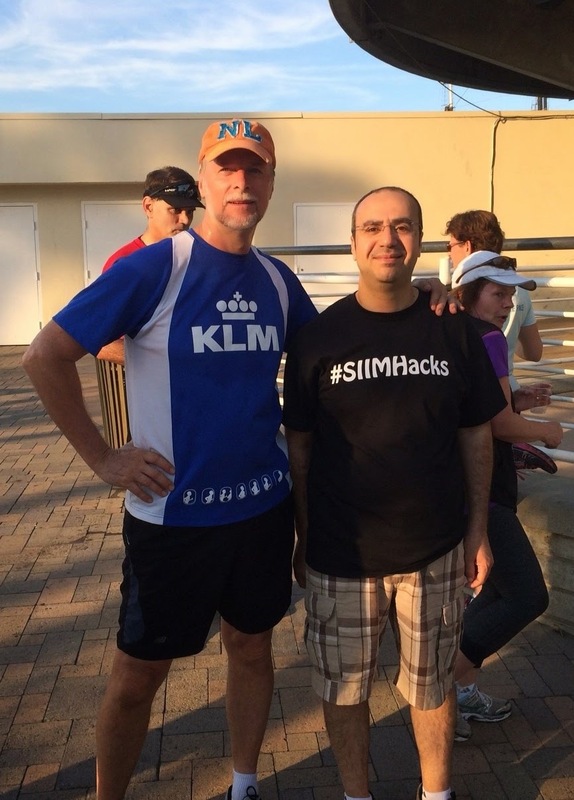 As a matter of fact, at the SIIM “hack-a-thon,” people could actually get a feel for how to build one of these apps very quickly. reveal any new information except for the fact that it seems to be going mainstream. One of the issues noted was that there are no really good hanging protocols available yet at the vendor’s PACS systems for viewing the many thin slices being created. However, radiologists are getting better and more efficient at interpreting them and it appears that the average length of interpreting a DBT exam vs a regular mammogram is only about one-and-half to two times longer, much less than the initial times when this technology was introduced . The DBT images are supposed to detect more cancers, but one has to realize that as of now the patient gets two exams, the regular four-view and the additional DBT exam, which increases the radiation dose exposure. There is still a lot of work to be done by the vendors, for example, one user reported that their software has trouble distinguishing between the regular mammogram and DBT synthetic reconstructed images, something which is addressed in the DBT IHE profile, which is apparently not yet widely supported. This was a hot topic last year, and still is, as it is becoming mainstream, but the PACS viewers have apparently not yet caught on. 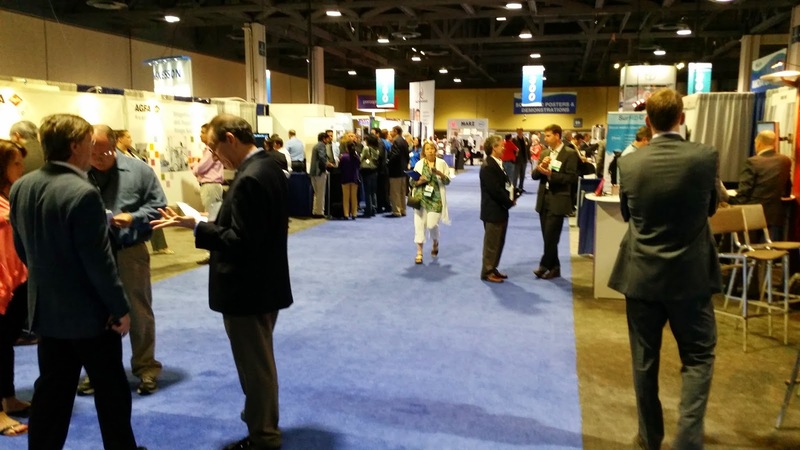 I can typically list at least 10 hot topics from every conference, but not from this one, which was an indication of SIIM2014: there were not many new things to show. It appears to me that SIIM wants to be all things to too many people, i.e. different professional groups with a different skill level, and in the process of that, it becomes too widespread and scattered. 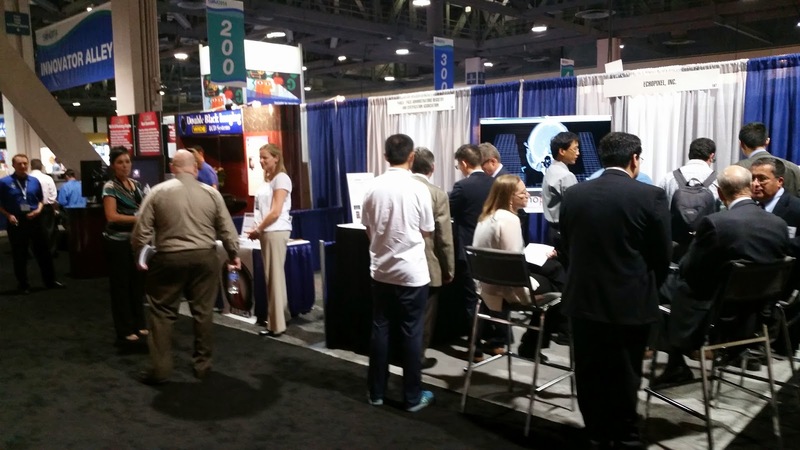 As an example, this year the program included general sessions, hot topic sessions, scientific sessions, five different learning tracks, learning labs, innovation theatre sessions, roundtable discussions, and study groups. Sounds confusing to me, I would rather have a few well-defined choices. however, if there is not a large enough audience, the networking opportunity is limited. Even though the attendance was a little bit more than last year, it is still less than half of what it was a few years back, and I missed many of my colleagues who did not attend. 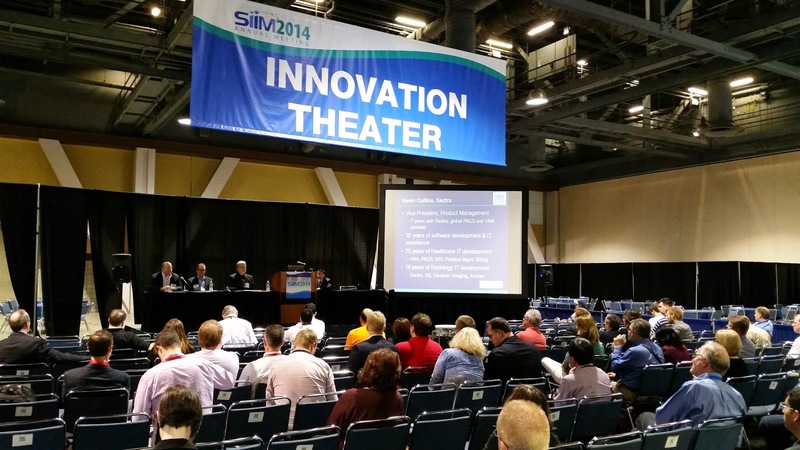 It was apparent that SIIM wanted to please the vendors by having sessions that consisted of vendors only. I believe that most attendees (including myself) did not really care to hear how a particular vendor has the latest and greatest solution but rather would have liked to see users giving testimonies on what works and does not work. With regard to the technical exhibition, several vendors I talked with did only get a few leads, which made it very hard for them to justify this event. Potential customers do not really have to “kick the tires” anymore as pretty much any vendor today can schedule an on-line meeting and corresponding demonstration that is interactive using GoToMeeting and other similar online tools to meet most of their needs. In my opinion, if one really would like to find out how a system works, I would visit another hospital and talk with other users to find out not only the vendors strengths but even more importantly, their weaknesses. From a faculty perspective, more than 30 percent of the faculty this year were the same speakers as last year, some of them giving multiple presentations. There is nothing wrong with that except that there is a lot of regurgitation of old content going on. Even many of the titles are nearly identical, with only a small twist of words. The best example of this, I saw from one of these frequent speakers showing analytics data on slides from 2007! It is hard to look into a crystal ball and predict how SIIM is going to evolve over the next several years, but I believe that they need a new direction to get their old mojo back. The next meeting is in Washington DC, I might skip a year (or two). Hopefully the slides dating back to 2007 will be updated by then (but who knows). Critical success factors for sustainable projects in developing countries. It is hot and dusty as I am digging a drain for the concrete sink used at the elementary school, which is situated in El Limonal, the little community that literally lives from the waste at the dump in Chinandega, a city in the northwestern part of Nicaragua. In lieu of sewers, wastewater is “recycled” from the sink by draining it into a big pit with volcanic rock, which is plentiful in this area. The sink was relocated because we are building a feeding center at the school in addition to a small library. 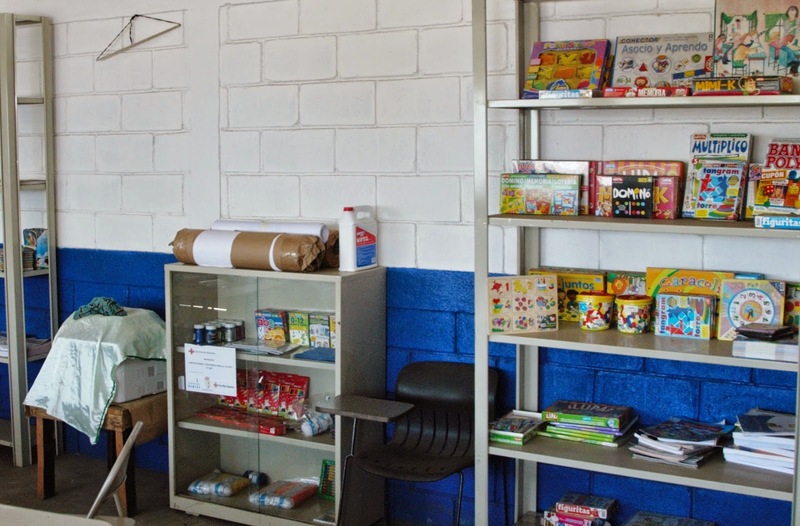 Over the past several years we built several classrooms, alternating one every year with another NGO, up to the full seven classrooms needed to provide for a kindergarten and elementary school. This project has been a good example of a sustainable project unlike many others in this and other developing countries that are undertaken by both Rotarians and many other NGO’s. 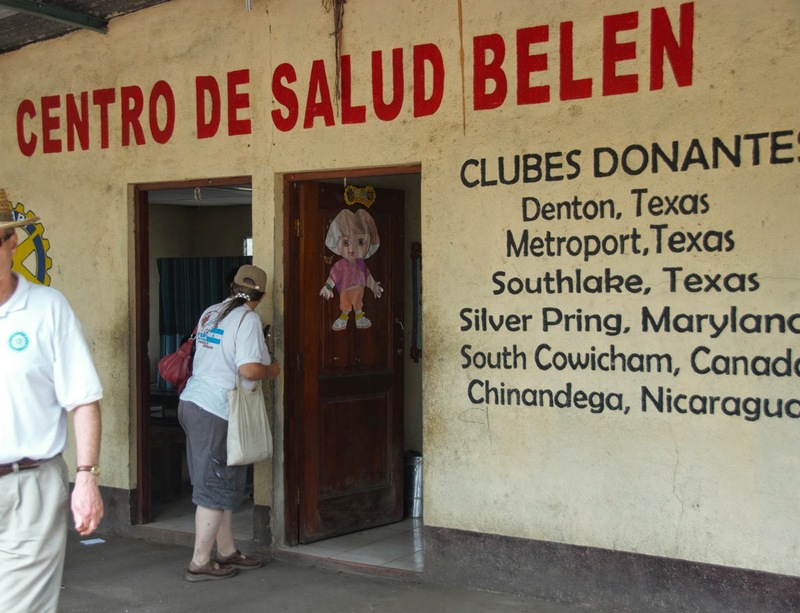 Over the past 10 years we have worked as a team of Rotarians with guests in this area. We have learned a lot from the projects we have done. 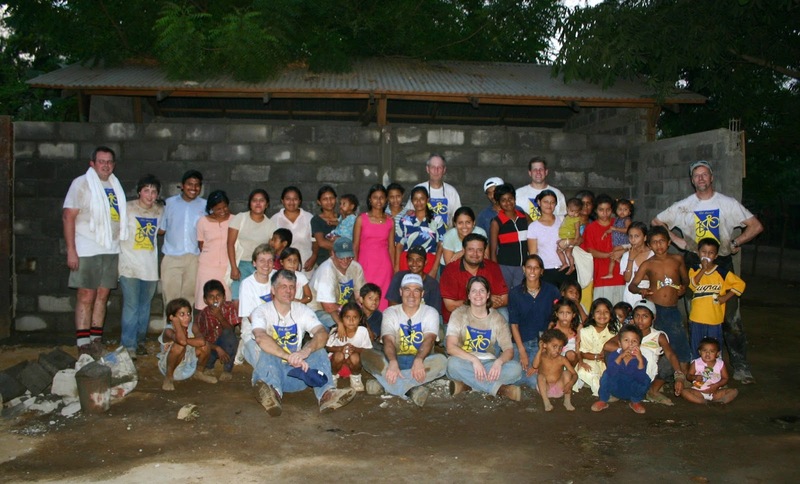 We did several construction projects, including five small rural clinics, nine class rooms, two feeding centers, three libraries, and have delivered many books, computers, medical supplies and equipment, totaling an investment of more than US $250K from fellow Rotarians and clubs. In order to be successful, there are critical factors that have to be met. I believe those listed below, which are based on our experience, are generally applicable for anyone undertaking a project in a developing country, whether it is in Latin America, Asia, or Africa. missionary who had a project for us. Another team had spent a week in the area and built a large building with an oven that was supposed to be used by local mothers to bake bread. It was to be a kind of cooperative so they could sell bread at the market and supplement their incomes earned from collecting plastic and metal bottles at the city dump. The team had spent a week, finished three walls and left, as they had to return home to the USA. We had a pretty good team of several hard workers and finished the building work in a day. Similarly, we saw several examples of partly finished projects that were “abandoned” by the donor organization, and because of the lack of follow up, were sitting idle or were only partially used. We also found some of our own projects having similar issues when we came back the next year. For example, we found that one of the clinics we built needed a canopy as the patients were sitting outside in the tropical heat as well as the tropical rainstorms. We found that the pharmacy that was part of another clinic was broken into three times over the past few months, so we had to install metal grates around the windows. We found that the swing set we built at the clinic caused a lot of injuries because there was no supervision (we are planning to move it to the school). There are many more examples of this. The bottom line is that there are so many unknowns and the culture and environment is so different from what we are used to, that it is very hard to get it right the first time, therefore follow up for another one to three years is critical for any project’s success and sustainability. 2. Community involvement is critical. Without a strong community commitment, one should think twice about starting a new project. We saw several examples where the community did not step up and rally behind a project and therefore were doomed to fail. 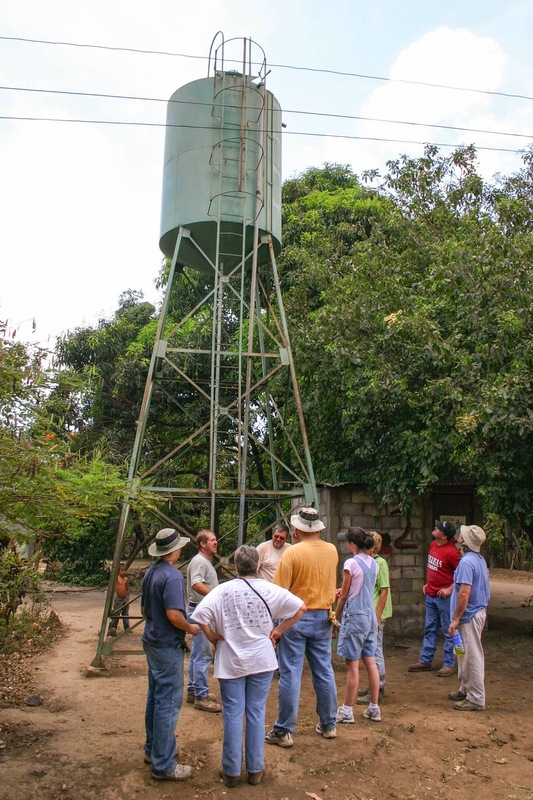 For example, next to the neighborhood where we were working, there is a big water tower to store water from a well and make it available to the neighborhood. It was built a few years ago by a European NGO. The reason for it was that the surface water that people were using prior to the water installation is heavily contaminated by the run-off from the sugar cane fields, which is so poisoned with fertilizer that there is a high incidence of miscarriages and birth defects in the children born in that region. However, the pump of the tower broke and needed to be repaired, but the community had failed to organize itself to charge a few pennies each time people used the water to create a maintenance and repair fund. As a result, people are back to using the poor quality surface water. The local rotary club is a critical partner as they typically know if a neighborhood is well organized and likely be able to sustain projects that are started in their community. A strong community looks after its assets, for example most of the clinics we built in those regions are always spotlessly clean (swept at least 2 times/day), have plenty of plants around them (which requires daily watering) and are relatively secure as the community is like a “neighborhood watch” looking out for people trying to steal anything they can. Note that you need to make sure to tap the “true” community leaders, which are often local priests or church leaders or people actively distributing food or organizing activities. 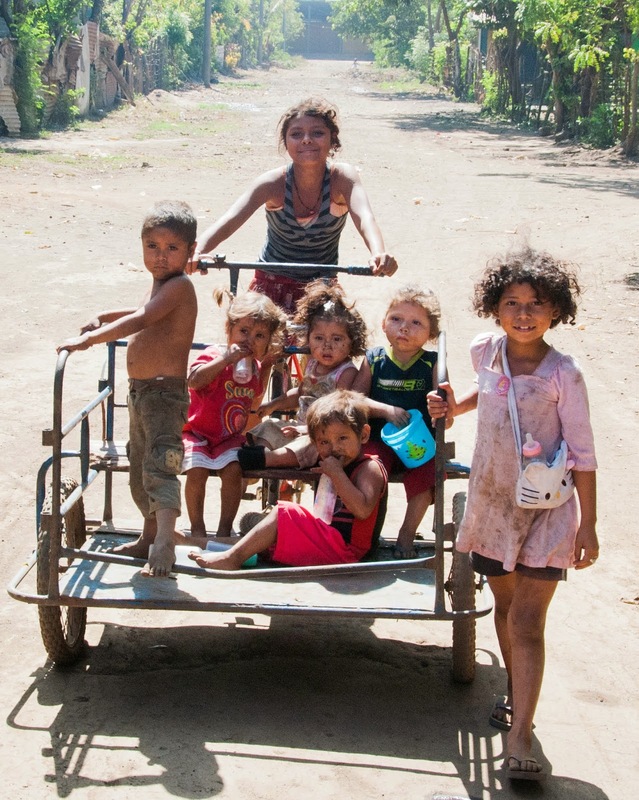 The “official” community leaders are, at least in Nicaragua and I suspect in many other countries, political figureheads who are only thinking about themselves and generally very much disliked by the community and therefore useless in many cases. 3. Count on having an 80 percent success rate over multiple projects. To create sustainable, successful projects requires a lot of trial and error and you have to be prepared for 20 percent of those projects to serve as a learning experience for how to do them. Looking back over a 10-year period, 50 percent of our projects have been very successful. For example, providing a school at the dump that started with 60 kids being taught in the open air, and progressed to a seven classroom facility with a feeding center, library, and playground with a fence around it, which now draws four times as many kids as when it started. Another example is where we built a single classroom and another NGO’s built another classroom, toilets, a water system, fence and feeding center. which “annexed” the library the next year along with its computers meant for the children by the hospital’s greedy administrator. Similarly, a feeding center we built adjacent to that library was supposed to feed under-nourished children being discharged from the hospital to get them back on their feet, however the local politicians pocketed all of the money for the food themselves. Also, we found out that the first computers we gave to a couple of schools were not used because the teachers did not know how to use them, and they were either too embarrassed or did not have time and/or opportunities to learn. Next time we did better, we now only build libraries that are situated in a school, and as for computers we give to a school, we make sure there was a commitment from the technical college to teach the teachers. Learning from experiences is critical to doing better next time. gotten the staff for our clinic in return. 6. Don’t assume any infrastructure and assume a harsh environment. If you are considering donating computers, forget about laptops as they are too fragile and can’t really deal with power surges and “dirty electricity.” Also, a desktop computer is easier to repair, for example if a power supply goes out or a hard disk needs replacement it is easier to get those components. Regarding keeping the temperature down, the best you can count on is having fans to keep the temperature somewhat reasonable (assuming you have reliable electricity). Using solar panels is challenging because of security concerns, i.e. they are hard to secure so they don’t get stolen. The people are so poor that they have taken the electricity cables from a water pump at our school, or even come out at night to unscrew the metal plates from the roof to sell. Internet access is very slow, expensive and unreliable. We seem to keep viruses under control here in the US because of the regular security updates, however these computers are not under the same kind of rigorous maintenance and often get infected. Water is not a given either. Half of the clinics we built have no water, which is kind of amazing if you think about it. 7. Developing countries have a different interpretation of the 4-way test. The Rotary 4-way test basically lays the ground rules for ethical behavior of Rotarians, however, in developing countries there is a lot of favoritism, borderline corruption and no respect for intellectual property rights. This line was crossed when I noticed that all of the computers we were providing as part of a Rotary district grant had bootlegged Microsoft Office software on it. I had to explain to my fellow host Rotarians, who argued that this is “common practice” in this region, that Bill Gates himself is a billion dollar donor to Rotary causes and that cheating his company out of a few hundred dollars for software is not only unethical but undermines important friendships. I don’t think they got the message but I know now to pay better attention next time and to make sure that any computer has either a free open source alternative or that we build in the cost of the software when we do the costing. Interestingly enough, a fellow Rotarian who was a member of the club sponsoring this particular district grant provided the computers. advance. By having multiple clubs participating, it evens out those funding changes. The same applies for the support team, it is important to have several committed people on the team that are willing to assist in raising the funds and who are willing to pay their own airfare and hotel costs to travel many years in a row. Finding those committed people is not as hard as it may seem, as anyone who ever gone on one of these trips knows, as soon as you go once you become “hooked,” because you see with your own eyes the impact we make. The hardest part for me was the first three or four years of building the team and convincing many to travel with us. the open air or best case under a canopy. family for a basic health check. air-conditioned SUV and ran off to his next project. They rarely talked with us while we were mixing cement and looking dirty or preparing chicken and rice for a few hundred kids. So, I learned that it is best to partner with them at an arm’s length. For example, we agreed that each of us would build one classroom every year in a poor community and we would exchange information, plans, vision and experiences. But I would never fund one of their projects or fund anything jointly. 10. Don’t support free-standing feeding centers. Our experience with feeding centers has spanned multiple years. The problem is that everyone’s first gut reaction, when seeing so many hungry kids, is to feed them. That is exactly what we did the first year we did a construction project. We told our local coordinator, a missionary who worked there for many years and lived there with his family, about wanting to feed the kids, and I remember the expression on his face when he said, “Really? ok if that is what you want to do, we’ll do it.” So, we bought the food, got the community involved to prepare it, and almost created a riot. We had to physically make a human chain of volunteers to get all those hundreds of kids in line and organized. We had kids come up that did not have a bowl, and they would take big banana leaves with them and we would scoop in the chicken and rice into the banana leaves. So, next year we decided to do it differently and we went to a “ticket” system. We gave the community leaders a few hundred tickets that they could distribute in the community. However, we found that many people came to us with no ticket, and we suspected some heavy-duty favoritism was going on. incentive to get kids into school was the fact that they were fed at noon. So, here we were, building and supporting a feeding center that undermined the primary incentive used to get the kids to go to school. This year we built a feeding center at the school, and that is where we fed the kids and teachers and had a great meal of chicken, rice, and veggies, cooked by the local community together with our help. When the kids were being fed, the teacher locked the gates so no one could get out and take the food home where it would be taken by parents or siblings. That is the best and only way to feed children. I stopped by at the feeding center we built a few years back, it is one of five (!?) in that neighborhood, supported by very well-meaning churches and other NGO’s. I would argue that the food that they provide is not sustainable and likely will not benefit the kids in the future of that area. These are my top ten recommendations, there are many more, but in my opinion, these are the most important. I truly believe that Rotary is the perfect NGO as it is people-to-people with very little, if any overhead for projects, which is unlike most other organizations. That is also why I joined Rotary about 12 years ago; it provides a framework to build peace and better friendships. It also provides life-changing experiences, especially for young adults as we typically take high school and college students with us. Sustainability is how systems endure and remain diverse and productive. In my opinion, we can only do that by learning and working with the local clubs as closely as we can, and by getting our hands dirty! Herman Oosterwijk, international project coordinator Denton Rotary club.